We are now SALSA accredited! 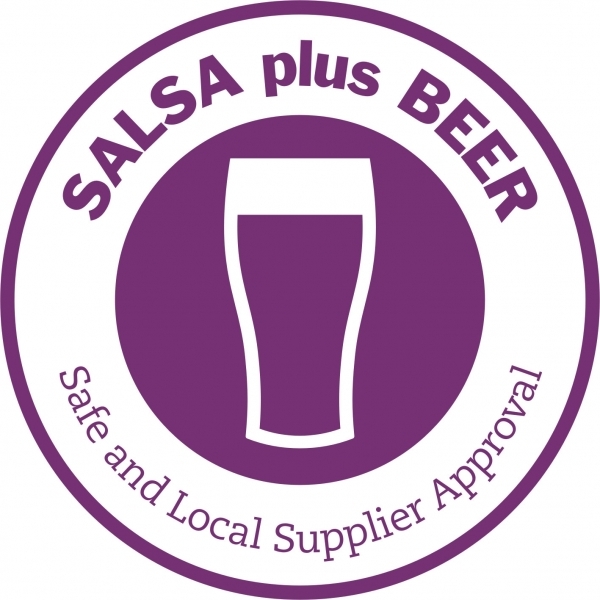 We are delighted to announce we are now SALSA (Safe and Local Supplier Approval) accredited. Our Team has put a lot of work into preparing us for the audit, and it has paid off as we are officially SALSA plus beer compliant. The SALSA plus Beer audit, developed in association with Cask Marque, offers brewers a Standard tailored to the scale and structure of operation. Rob comments: “For all of our customers, this further verifies our working practice, company ethos and the high standards we adhere to. The SALSA audit primarily focusses on food safety and covers traceability, consistency, control and hygiene standards, and has been awarded to us for all aspects of our brewing, racking and bottling processes. Being part of the SALSA scheme encourages us to assess our practices and continually improve our Standards. Gaining the accreditation means we can drive sales in new areas to help secure future growth. It gives us a point of difference in an already highly competitive market”.